Back in 1978, four brothers out of Dayton, Ohio — Roger, Larry, Lester and Terry Troutman — formed the electro-funk band Zapp with the single-minded purpose of getting people out on the dance floor. Their 1980 self-titled debut, produced by Bootsy Collins and with input from P-Funk founder George Clinton, went gold on the strength of their influential hit single, “More Bounce to the Ounce,” which would later be sampled by the next generation of rappers and hip-hop stars, including EPMD, The Notorious B.I.G., Public Enemy, Ice Cube, Easy-E, Ice Cube and Snoop Dogg, among many others. 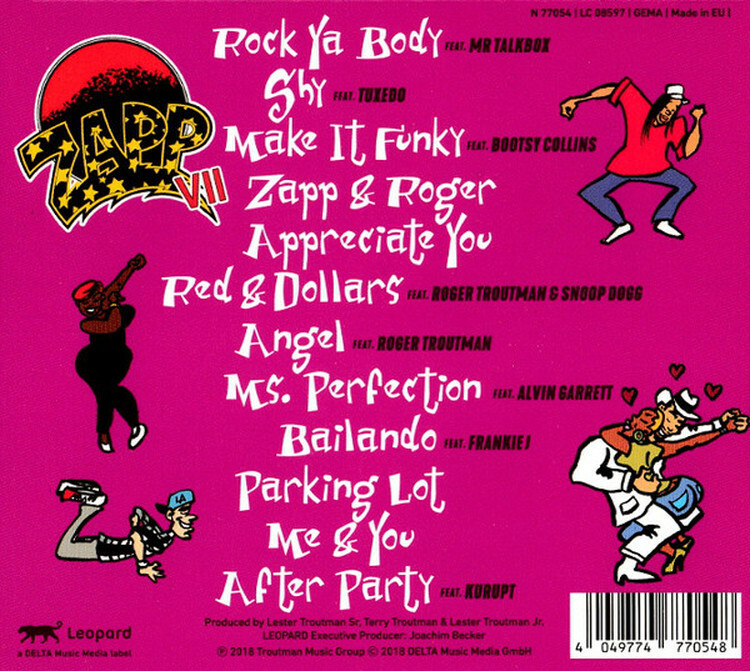 Now the funkateers are back with Zapp VII: Roger & Friends, which celebrates the 40-year legacy of the band while paying homage to the creative genius of Roger Troutman. The album will be released on the LEOPARD label in fall 2018. 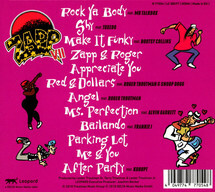 With Roger’s signature talk box and synth bass lines in full effect on tunes like “Rock Ya Body” (featuring Mr. Talkbox), “Shy” (with Tuxedo), “Make It Funky” (with Bootsy Collins), “Red & Dollars” (with Snoop Dogg) and “After Party” (with Kurupt), this latest Zapp outing is geared to make people move on the dance floor. As Lester Troutman Jr. explains, “This group has always been about three things: hook ‘em, get ‘em dancin’ and keep ‘em dancin’.